Turn your Mac into a remotely accessible, metadata-based file server (beta). Is there a better alternative to Nucle Browser? Is Nucle Browser really the best app in Servers category? Will Nucle Browser work good on macOS 10.13.4? 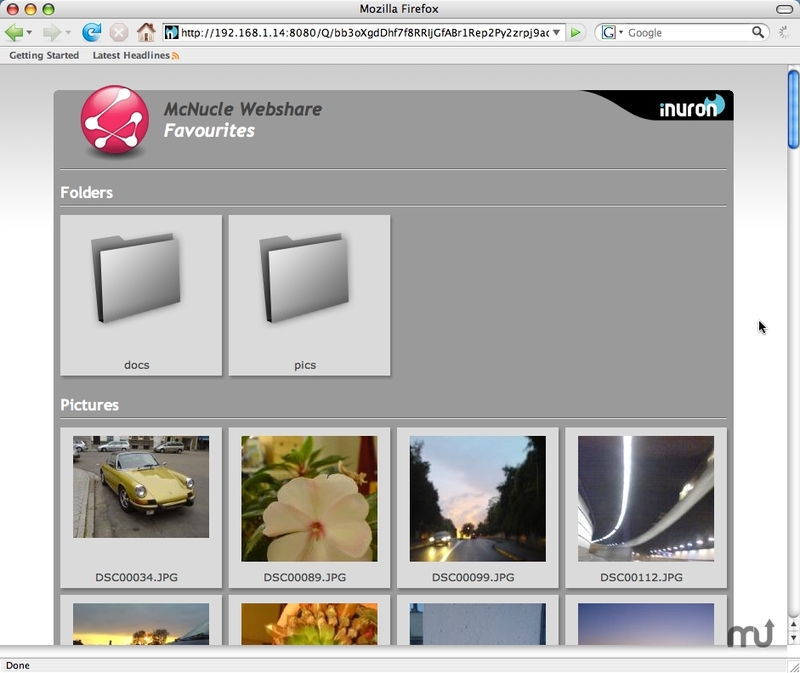 McNucle server software turns your Mac into a easy-to-use fileserver. Your folder is presented to them in a handy webpage. You and your friends can now browse, preview and download the files on your Mac from any Internet enabled computer. Since you don't upload files up front the amount of files you can present is virtually unlimited. Nucle Browser needs a rating. Be the first to rate this app and get the discussion started!